Five policemen arrested in relation to the incident in which two students died on October 21 morning, were remanded by the Jaffna Magistrate till November 4. 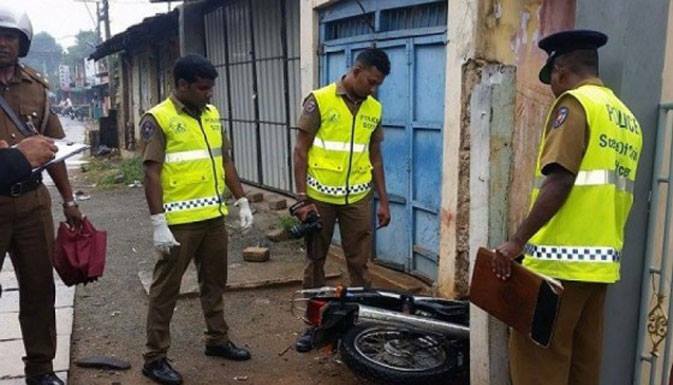 Jaffna police reported that the two Jaffna University students – riding a motorcycle - had crashed into a wall in the early hours that Friday, resulting in their deaths. The postmortem report however contradicted the police statement, saying a bullet was found lodged in the body of the student manning the motorcycle. Students from the Jaffna University had surrounded the Jaffna Hospital where the postmortem was being conducted. CID officers were dispatched from Colombo to take over the case, after allegation surfaced against the Police. President Sirisena expressed his sorrow and regret at the incident and has instructed authorities to conduct an impartial inquiry into their deaths.